Does anyone happen to know if Hobby Master, or any other manufacturer, has produced these jets yet? Century Wings makes them. Great models killed by so few options and repeat liveries. "These are bird strikes, sparrows to be precise. That’s the way it is, guys." "It was a time of wonderfulness and happiness that I will never forget. It's been a pleasure and an honour to be a champion with all of you." Claudio Ranieri 24 Feb 2017. Those are actually RF-8s (recces). No diecast manu has produced one. And only available in kit form with a resin conversion. @ AlleyCat Hopefully they will become available at some point in the future. That was an excellent clip - thanks for sharing . Love the variable incidence wing on the F-8! Agree that an RF-8 needs to be made. Heck, with the few Century Wing variants getting harder to find on the secondary market, we just plain need more F-8s! I also highly recommend that you see/buy "The Missiles of October" a 1974 telemovie, which is in some ways better than "Thirteen Days". In fact,.....in many ways its a lot better. In fact, I am trying to score a DVD copy myself. I think I may have seen that first run on TV but not since. I'd love to see it again. I would love to have a RF-8 it is one of the only recce USN jets I don't have. I missed a great model of one on Ebay and have never got a 2nd chance. The two I would like the most are from VFP-62 during the Cuban Missile Crisis or John Glenn's RF-8 which made the first supersonic transcontinental flight in 1957 from California to New York in 3 hrs. 23 min. & 8.3 sec. Does anyone know if either jets was hit by AAA, since they approached at super sonic speed the guys on the ground would not have heard them coming the only way they would have had a heads up is radar or radio. In a PBS documentary "Cuban missile crisis, three men go to war" a Cuban soldier said they and the Russian troops did not have orders to shoot. I would like to know the details of how this scene was made. The flying scenes are all CG, however the ground shots look as if they use practical mock ups & CG. The F-8 in the foreground of the first flight line shot (762-6864) is a fighter variant from VF-24 that wears the same camo and tail code (GA) as the VFP-62 RF-8's that go on the mission (910-6871) & (906-6886). Unless the art department modified a real F-8's with a photo pod to simulate a RF-8 why would you go to the trouble of making mock up and get them wrong by adding the sensor in front of the windscreen which the RF-8's did not have? It was a Revell kit, 1/67 scale. Hmmmmmmm. Was it not the most beautiful of aircraft. I would have to most definitely agree. And every last one of ‘em was built about 1500 feet from my childhood residence, so I have a special affinity for the old girl. And it always pissed me off that CW messed up an otherwise pretty nice mold with that crummy intake. I just position them so they can’t be viewed head-on. Flebay/Amazon around 40 bucks... Don't get enough of William Devane from his 'Invest in Gold' commercials, eh!? Kenny O'Donnell: Commander, my name is Ken O'Donnell, special assistant to the President. Commander William B. Ecker: Yes sir. Kenny O'Donnell: I don't think you understand me, Commander. You are not to get shot down, under any circumstances. Whatever happens up there, you were not shot at. Mechanical failures are fine. Crashing into mountains, fine. But you and your men are not to be shot at, fired at, or launched upon. Kenny O'Donnell: Commander, if you are fired upon, the President will be forced to attack the sites that fire on you. He doesn't want to have to do that. It's very important that he doesn't, or things can go very badly out of control. Commander William B. Ecker: What about my men? We don't have anyone to protect us, I don't want to be writing letters home to parents. Kenny O'Donnell: If the President protects you, Commander, he may have to do it with the bomb. Now I've known the man for fifteen years. The problem is... he will protect you. So I'm asking you, don't make him protect you. Don't get shot at. Commander William B. Ecker: Okay Mister O'Donnell, we'll do what we can. Kenny O'Donnell: I know you will. 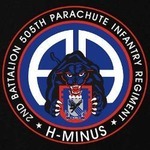 Lt. Bruce Wilhemy: Oh man! sh#t! Did you see it? Lt. Bruce Wilhemy: You were lucky skipper. Commander William B. Ecker: Damn sparrows! Must have been migrating. Commander William B. Ecker: I probably hit a couple of hundred of them. How many did you hit Bruce? Lt. Bruce Wilhemy: Sparrows? A few I guess. Petty Officer: Are these twenty millimeter or forty millimeter sparrows, sir? Commander William B. Ecker: Those are bird strikes. Sparrows to be precise. That's the way it is, guys. I was wondering when you were going to mention that... and did they do the same to the A-7? I have an Academy kit of the F-8E somewhere, I might just build it to see how it compares. The shape of the A-7 intake is fine. But then they had to go and put that ugly seam down the inside of it. At least I was able to correct that. Not much I can do about the F-8 unfortunately. From what I understand, they used Philippine Air Force F-8s for all of the ground scenes. Aircraft (both a preserved F-8 Crusader and Lockheed U-2 spyplane were featured) that still exist from the period were refurbished to appear operational as well. 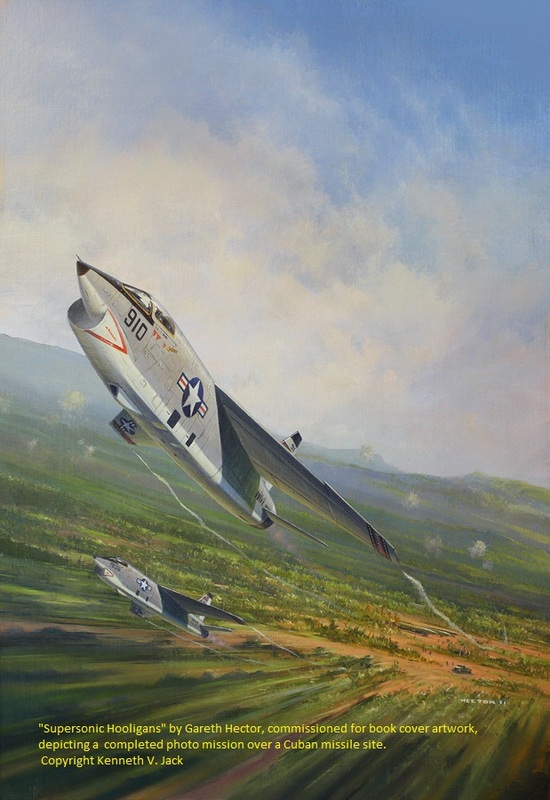 The RF-8 Crusader (and an F-5) plus the scenes of Cuba were shot in the Philippines. The air base scene was taken at Clark Air Base, Philippines a former American facility, which substituted for NAS Key West, Florida, where the actual RF-8As of Light Photographic Squadron SIX TWO (VFP-62) launched from on their Cuban overflight missions. At the time of the shooting, the F-8 was still in the inventory of the Philippine Air Force, but no longer operational. The F-5s were retired in 2005. So, yes it was the Philippine Air Force's fleet of retired F-8s, at Clark AB. Paying attention to it, the whole fleet was repainted (or at least vinyl-wrapped) to be in period. Every time the aircraft moved for the ground scenes the camera cutoff line was always just above the nose landing gear, where the tow bar was attached, and at no point were engines actually running because the audio of the flight line is far too quiet for actual aircraft at idle, let alone taxiing, plus the expense of burning gas on a non-operational fleet. And of course all flying scenes are CGI. I gotta say, they did a -up job with this sequence, it definitely looked the part. Similar success with the at-sea scenes, with the museum ship USS Joeseph Kennedy being towed out to sea, with the tugboat apparently always out of frame.